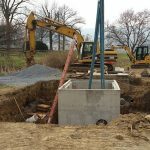 Bushong Contracting provides and array of site and excavation work. 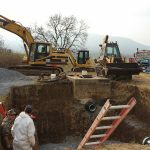 Our scope of work expands from sewer and water projects to grading and clearing. 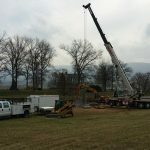 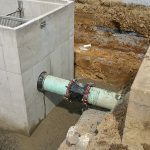 This is an installation of approximately 200ft of wastewater line and a secondary vault alongside an existing primary. 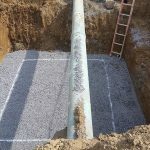 To learn more about Bushong Contracting you can also visit our website. 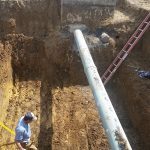 For an estimate please feel free to email or give us a call.